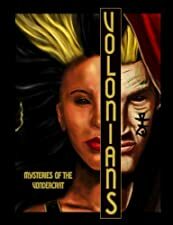 Volonians: Mysteries of the Vondercrat (Book #1) By Carlos Hardy, Christopher Edwards Jr.
by Carlos Hardy, Christopher Edwards Jr.
A mother’s love and her fight to protect her children. Begin this series while the first book is FREE! 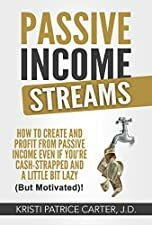 Passive Income Streams: How to Create and Profit from Passive Income Even If You’re Cash-Strapped and a Little Bit Lazy (But Motivated)! By Kristi Patrice Carter J.D. Prosperity guru Kristi Patrice Carter introduces approachable ways to make more money—even when you’re not actively working. By mastering the method of passive income streams, you can break free from traditional work models, avoid working long hours, and still earn a living. Carter Lynch was an outsider, a foreign invader from a foreign land. The army brat transfer didn’t join the football team to make friends. He didn’t care about anything but taking a starting spot and earning a scholarship. He had what it took to be a star. He was focused, talented … violent. One Team, One Goal, Back-to-Back State Champions.